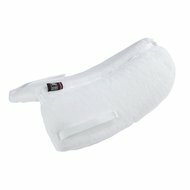 Back pad for the sensitive horses back. 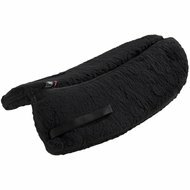 Underlay for use directly on the horses back or between the saddle cloth and saddle. With 2 looped tapes and foam filling: washable up to 30 C.
is small. fit well okay. Question: How long is this pillow?